Want to know more about Fallout 4? 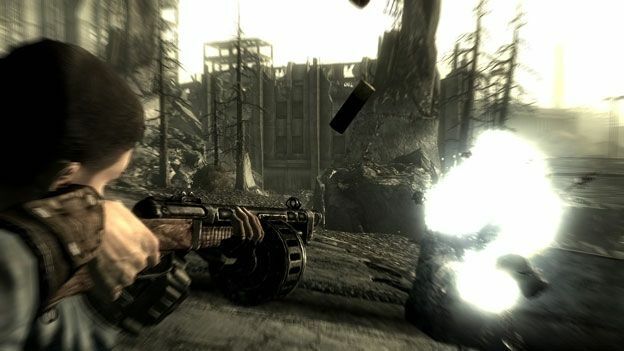 Chances are you're not as keen as these fans, who have set up a petition to games maker Bethesda, urging the company to shed some light on when the title will be out. But then it's understandable. There have been plenty of rumours about the game – some believable, some fake – so these fans just want to know the official line. You can find the petition at Change.org. It has more than 8,000 signatures, and hopes to reach 100,000. This isn't the first time peeved fans have launched a petition to try and get a games maker to talk about a forthcoming title. More than 700,000 people have signed the petition asking Rockstar to bring GTA 5 to the PC. Though in fairness, it has taken longer than GTA 4 to arrive on the platform. It's been 226 days now since GTA 5 hit consoles, so you can understand PC owners reaching the end of their tether. Bethesda hasn't actually confirmed it'll ever make a game called Fallout 4, so fans just want to know either way, and be put out of their misery, if that's the case.